What Should You Do If You Buy Something… And Then Decide You Don’t Want It? I usually try to do my research before buying, but sometimes I buy something and soon after decide that it’s just not for me. This could be for many reasons. Maybe something looked useful, or at least I thought it would be useful, and then I found out after having it that just didn’t use it much. Or maybe something was useful, even if just for a short while, and then I changed something else that affected that items usefulness. Did that make sense? I read it back to myself and thought it sounded a little confusing. So here’s an example. I bought some pretty decent speaker stands at one point, because I didn’t have any room on my TV shelf to put the speakers by the TV. So the speaker stands were quite useful in that situation. Then about a year later I got in the habit of rotating the TV to aim directly at my recliner during “gaming sessions”.Yeah I’m a gamer and I game on the Xbox 360. When I would rotate the TV, the speakers on the stands didn’t point directly at my recliner. And as a somewhat obsessive-compulsive being that lack of audio balance bothered me. 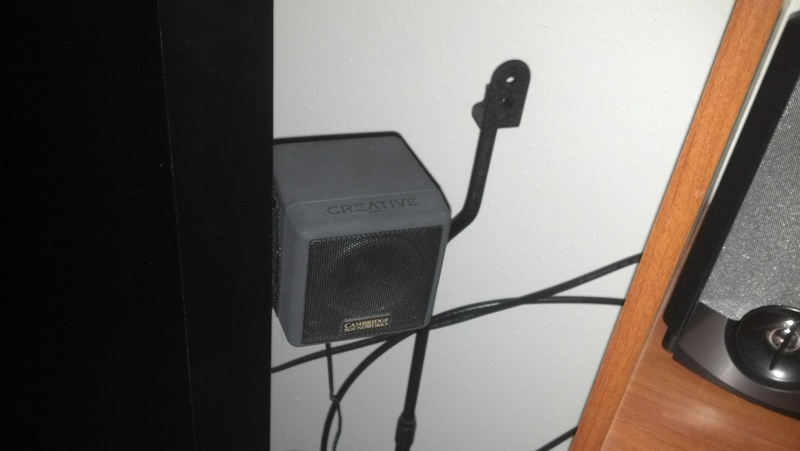 So I needed to figure out some way to be able to rotate the speakers along with the TV. 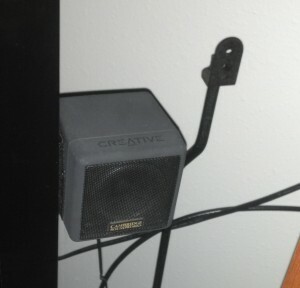 Long story short, I ended up using velcro to mount the speakers on the side of the TV. After all that, I was left with speaker stands that I no longer needed. I just didn’t have any other need for them. And I had them much too long to be able to consider returning them to the store. I might have had a hard time returning them anyways. So, what are some good ways to get rid of stuff like this? These are nice enough stands that I didn’t want to just give them away or dispose of them. Find a friend who’s having a garage sale – you might be able to sneak an item in if you think you can get decent money for it this way. Post it on Craigslist or Ebay – I like to try Craigslist first because if I sell it on there I make the buyer pick it up and pay cash, I use Ebay as a second option if I can’t move it on Craigslist. Pawn it – this is usually not a good option if you want to get the best bang for your buck. Pawn shops only seem to offer 1/2 or less of what they think they can sell it for. Sell it to a friend – you might have a friend that will give you a couple 20 dollar bills for something you want to get rid of that has some value. Post flyers – you’ve probably seen the bulletin boards around town where you can post flyers, such as at grocery stores and stuff. It might be worth a shot if you have patience. I find that I usually can get the best value for an item that I’m getting rid of if I have patience. If I’m in a hurry to get rid of something, I usually have to end up selling it for less that I had wanted to. Do You Check Expiration Dates At The Grocery Store?